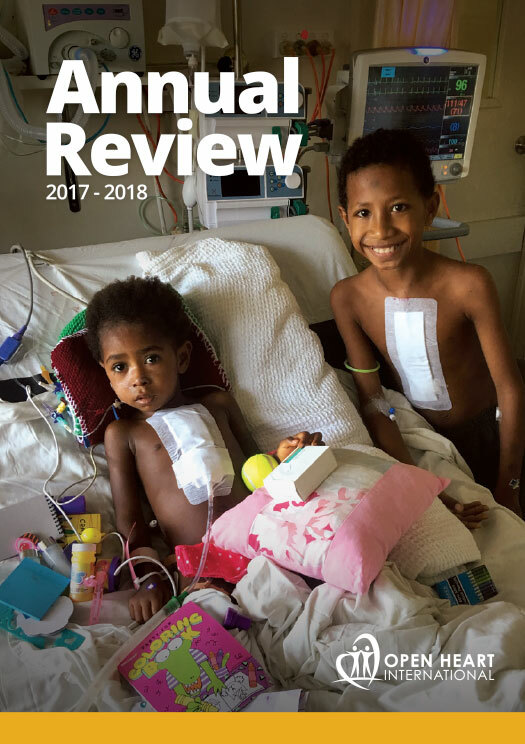 This post is by Cath Johnston, Physiotherapist, Tonga. My name is Cath and I’m the physio for the team. The physio is responsible for looking after the patients lungs and make sure they are getting up and around in the ward. 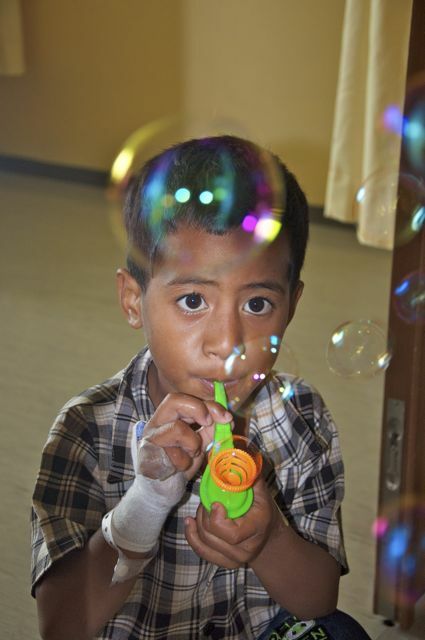 I’m getting very good at saying “take a deep breath” in Tongan – “manava lahi”! One of the ways we get the kids to take deep breaths is by blowing bubbles – I actually think we have more fun than they do. We also, much to the nurses disgust, get very excited and happy when the patients manage to cough up some “fula” or sputum! When I am not in Tonga, I work as a lecturer at the University of Newcastle. 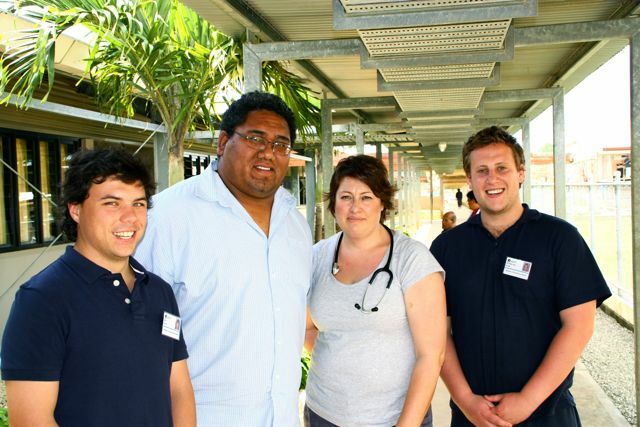 Some of the uni students, Nick and Mark, are undertaking a clinical placement in Tonga. The students are here for 5 weeks with Sione, the only physio in the entire Kingdom of Tonga!! Sione is amazing skilled at every type of physio – one minute he is treating the rugby players and the next he is caring for a little baby with a foot deformity. The students are having a great time and learning heaps – seeing so many things they wouldn’t ever experience in an Australian hospital. Unfortunately they did manage to terrify a couple of the little kids – one little girl was so afraid she snapped the head off her fluffy koala when they came into the room! 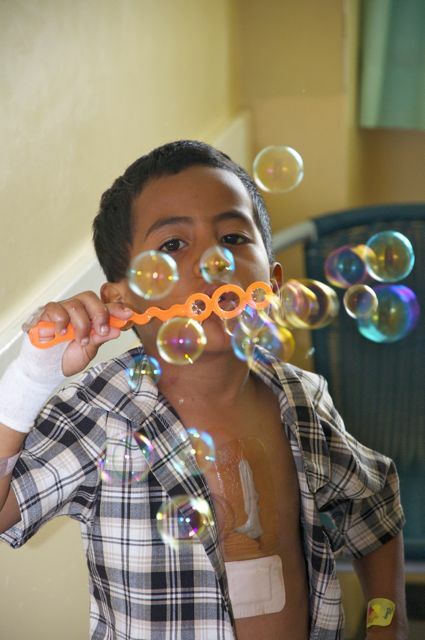 As always, the Open Heart International patients are doing really well. We are so impressed with the patients – they are so brave and cooperative and we love working with them – it’s a real privilege to be here.